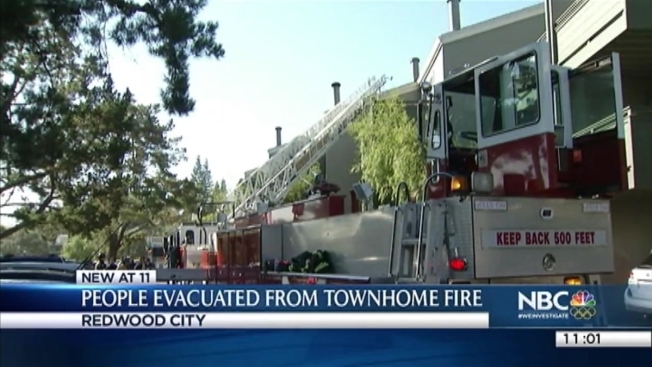 A two-alarm fire ignited at a Redwood City condominium Tuesday morning, causing one firefighter to get overheated and dizzy. Aside from that, no one was injured during the fire, first reported at 6:48 a.m. at 4028 Farm Hill Blvd. near Cañada College. "I woke up and smelled smoke," said Amin Zareian, whose apartment was the only unit that was most severeley affected. Fire Battalion Chief David Pucci said the fire reached a wall and ceiling but was contained to one unit.